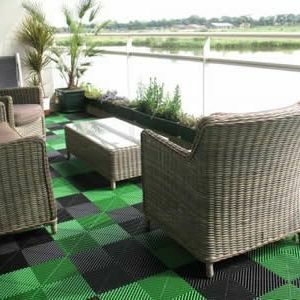 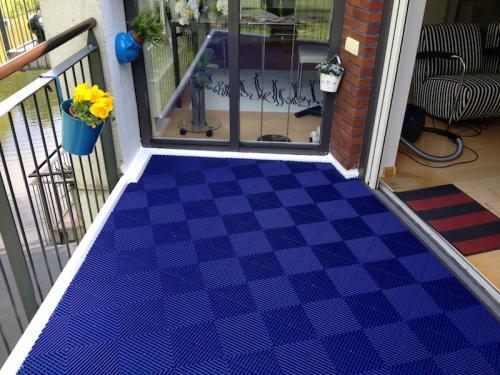 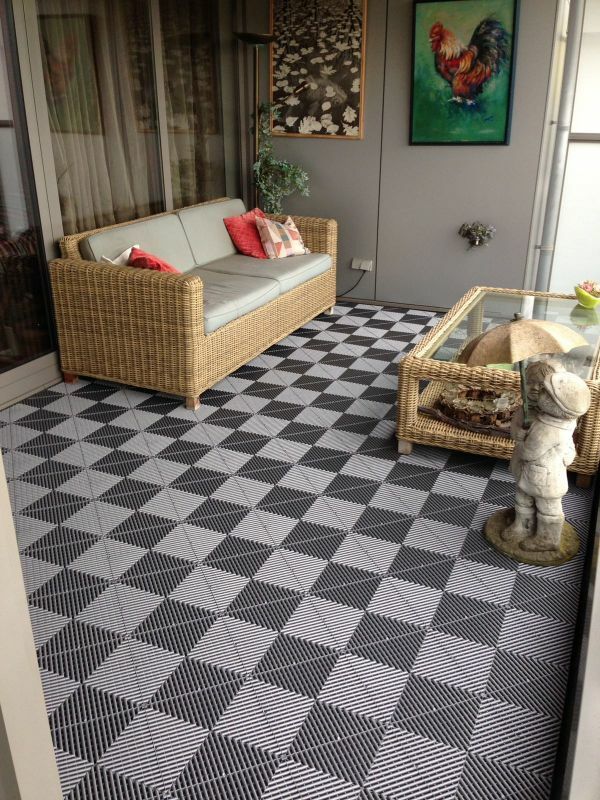 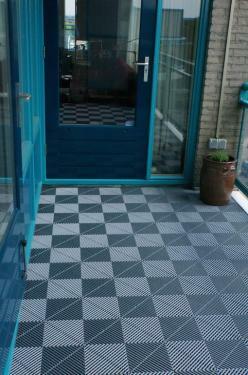 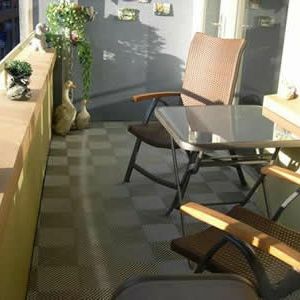 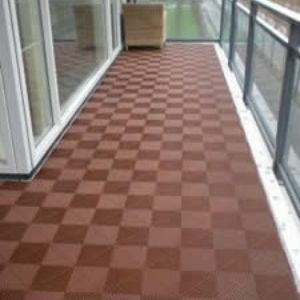 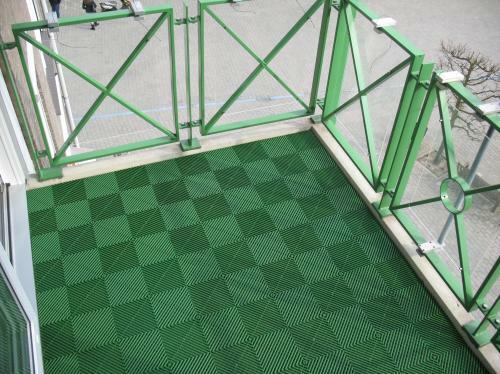 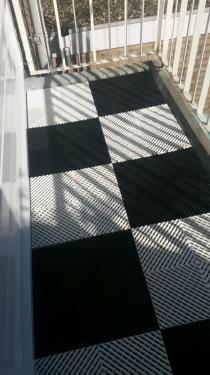 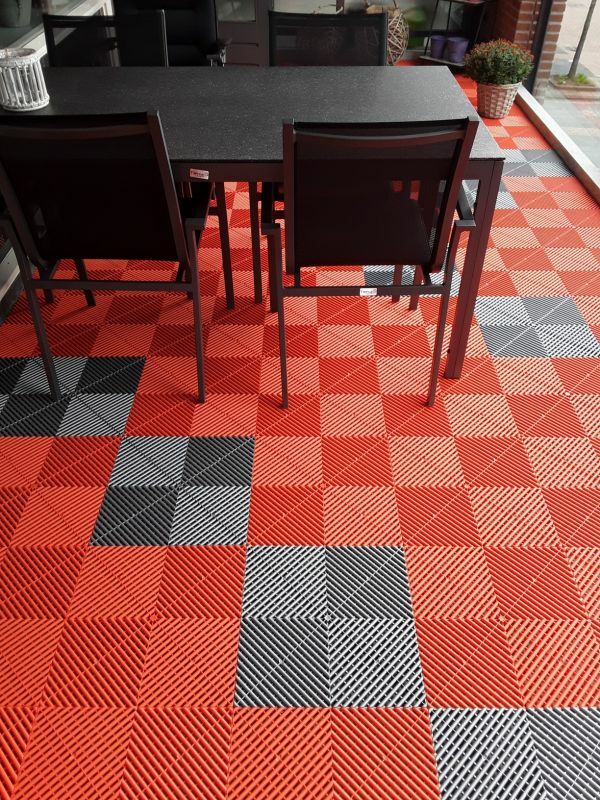 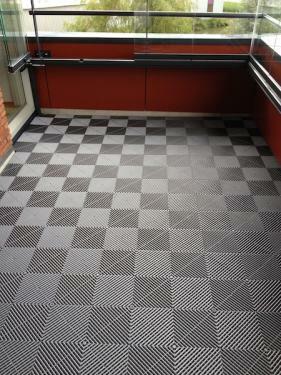 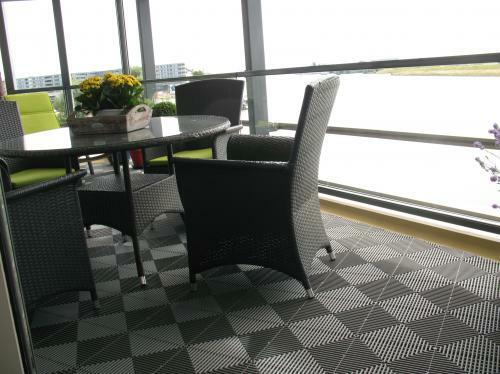 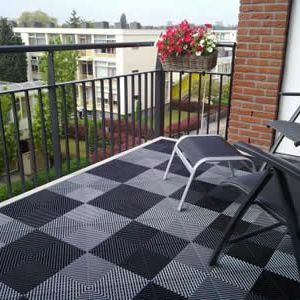 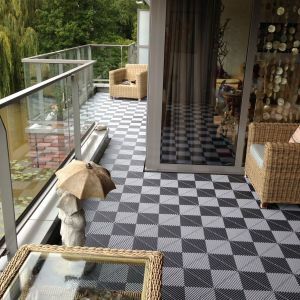 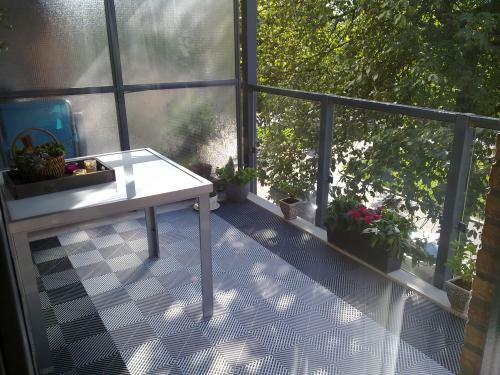 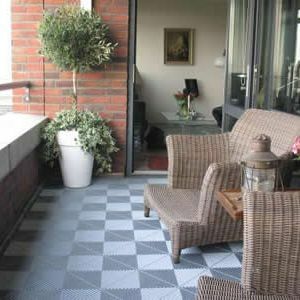 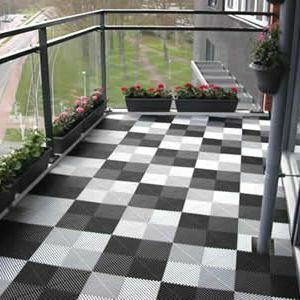 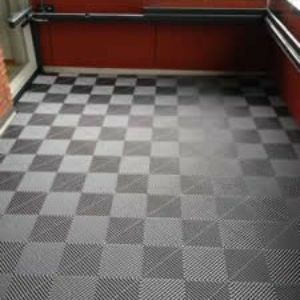 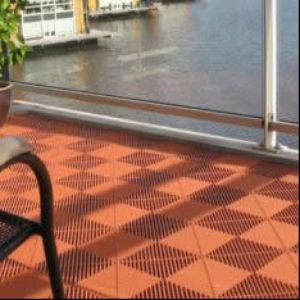 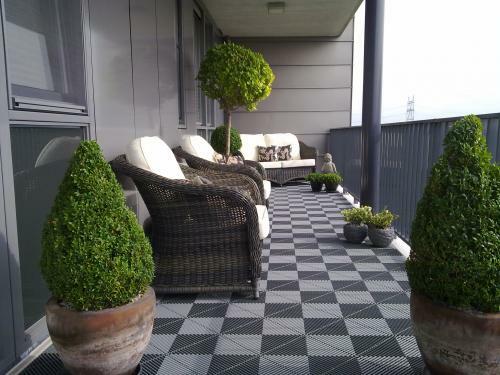 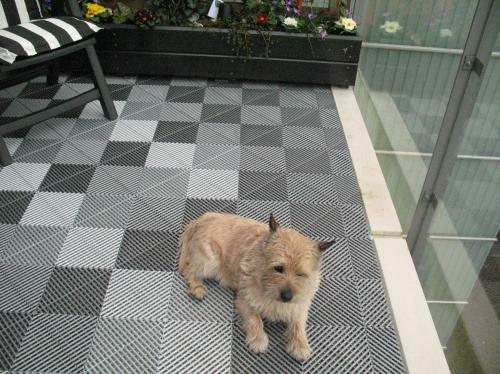 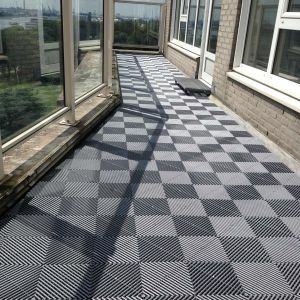 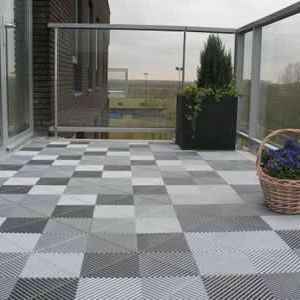 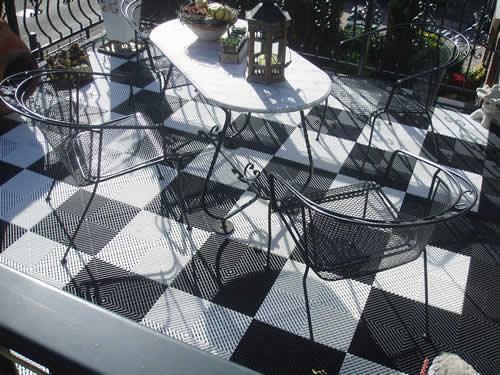 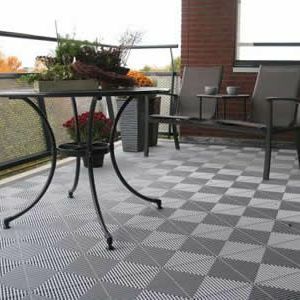 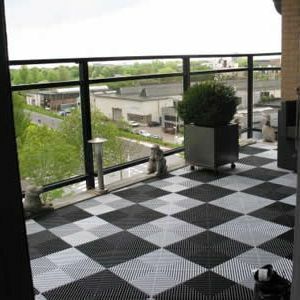 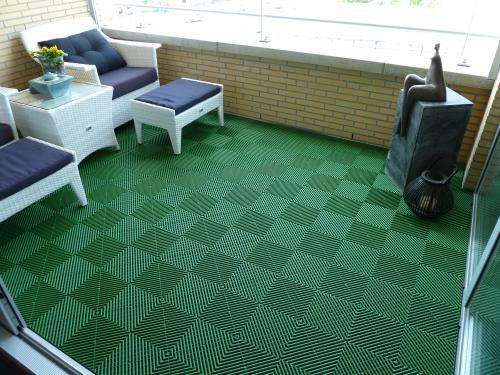 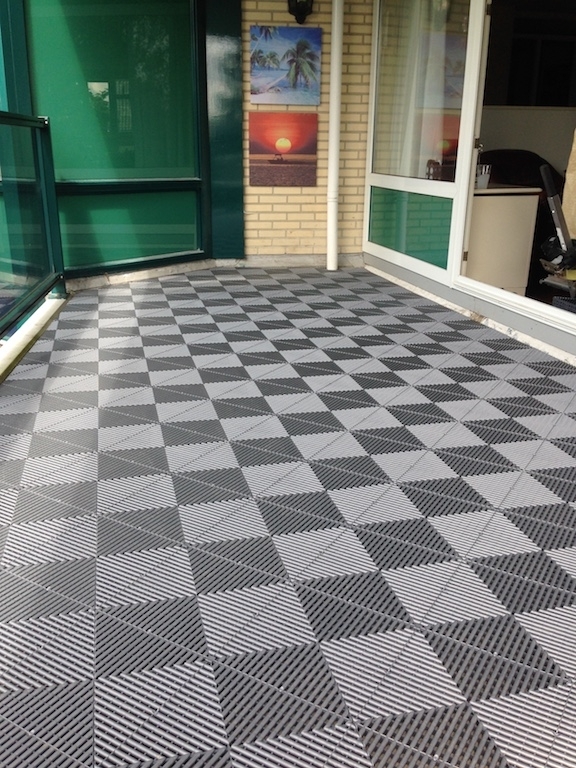 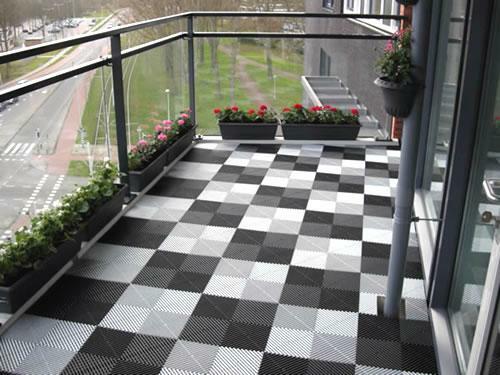 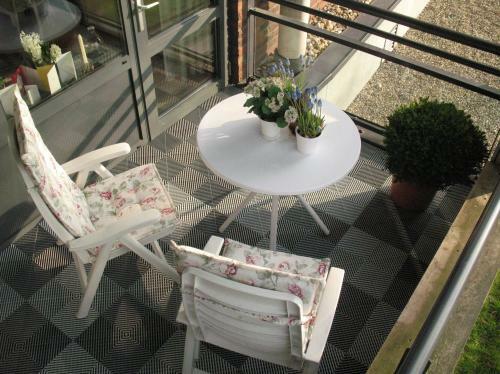 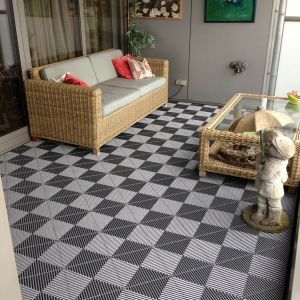 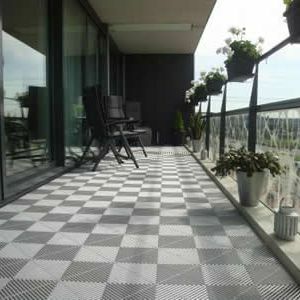 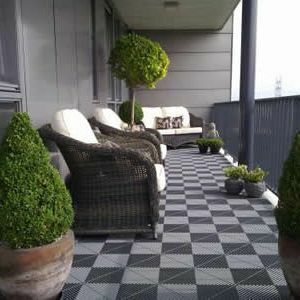 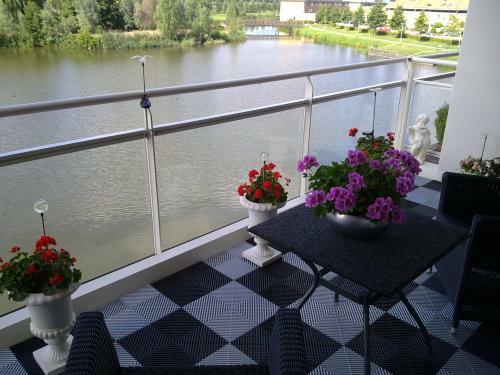 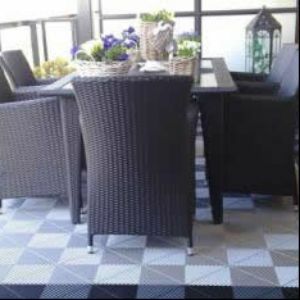 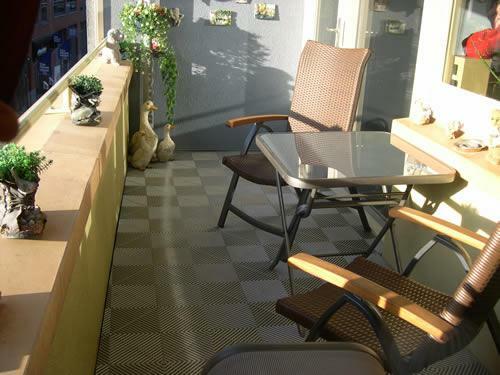 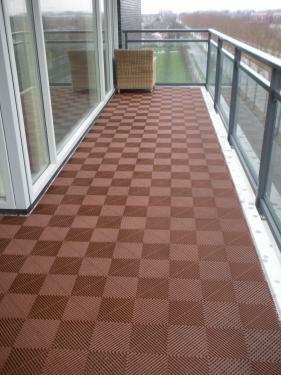 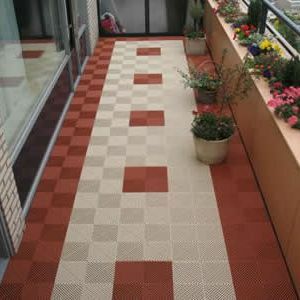 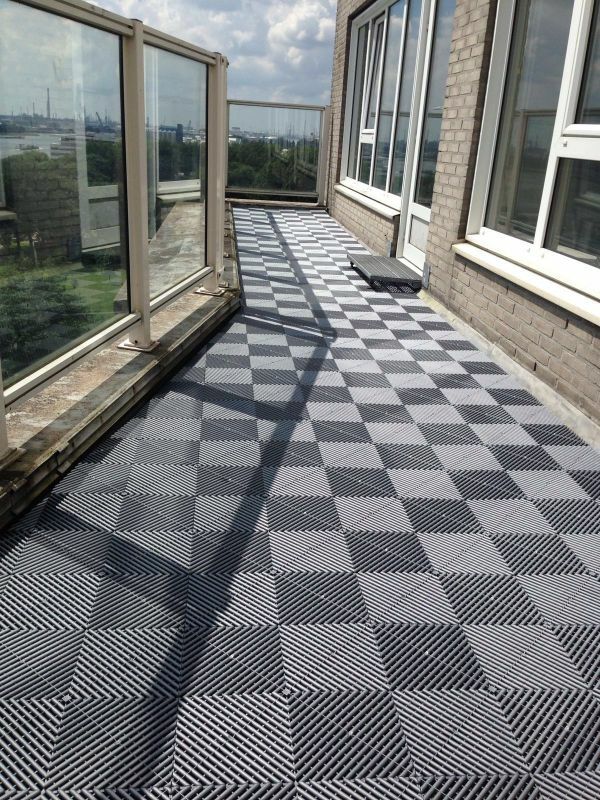 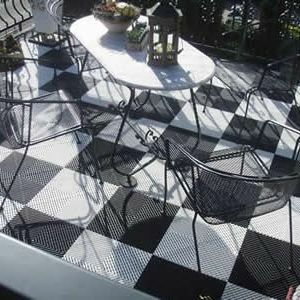 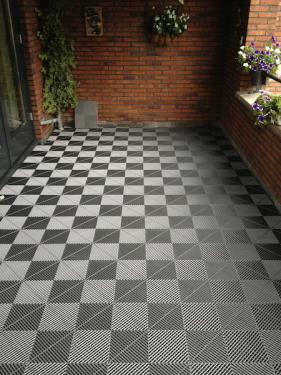 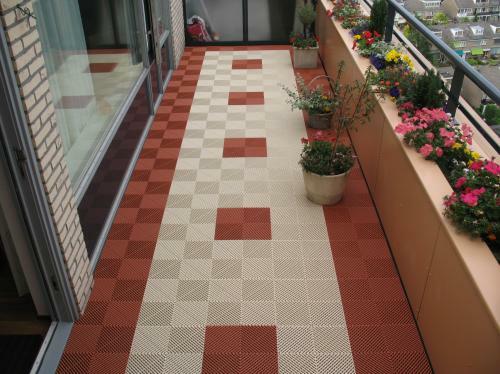 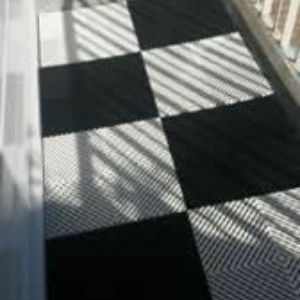 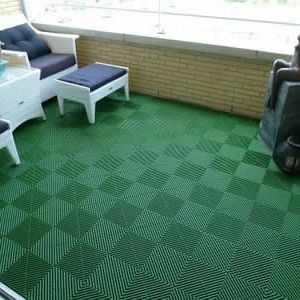 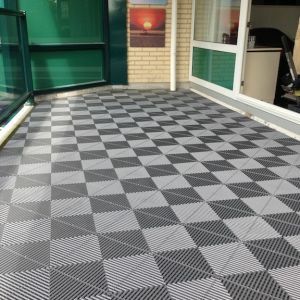 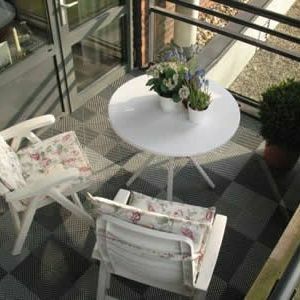 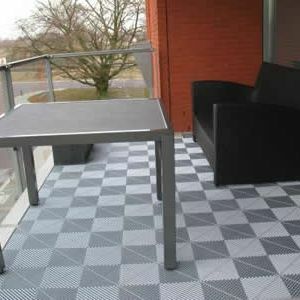 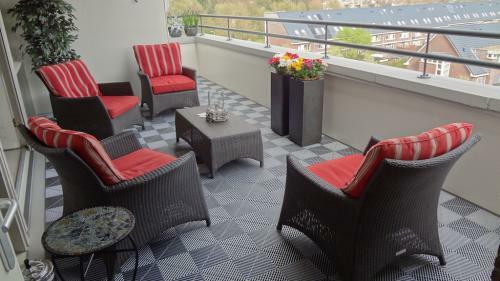 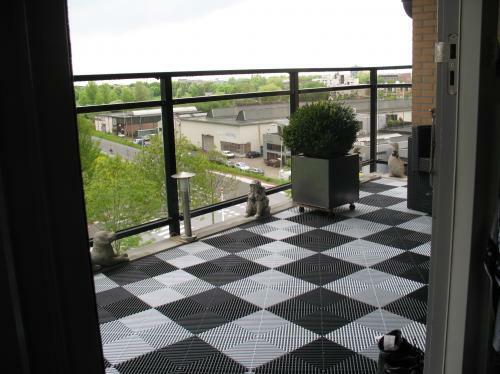 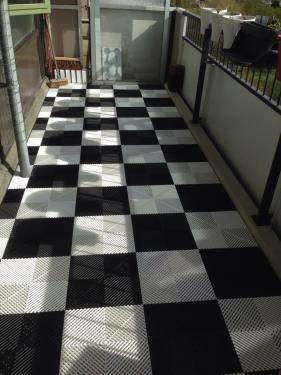 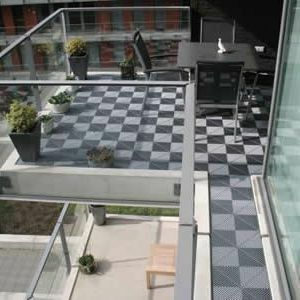 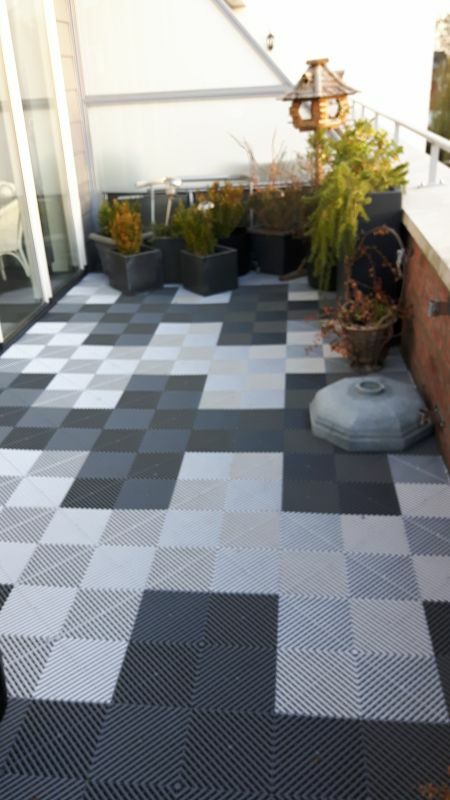 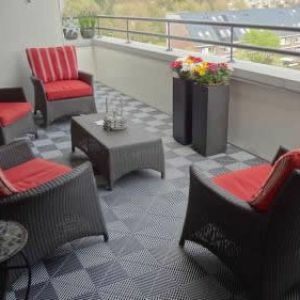 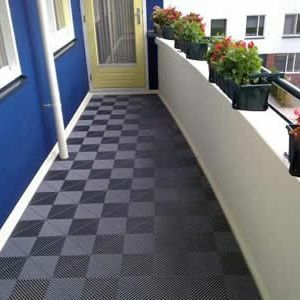 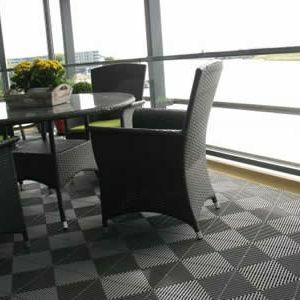 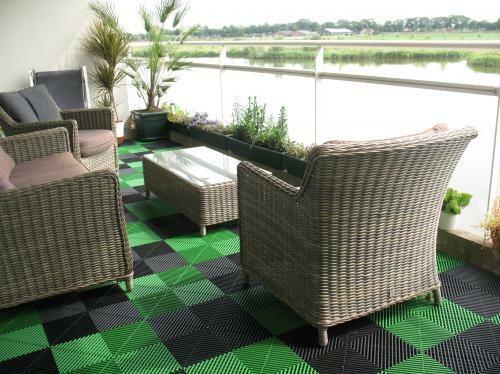 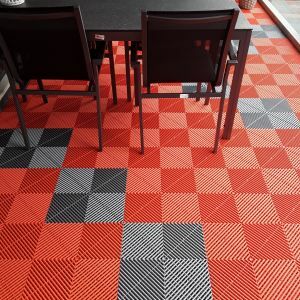 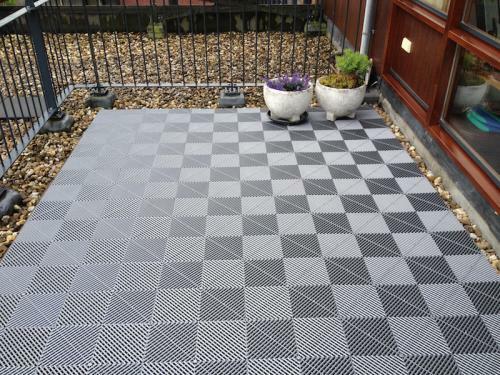 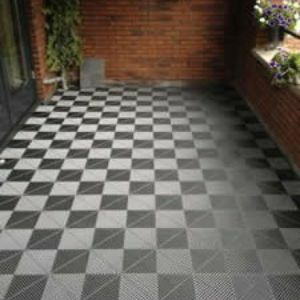 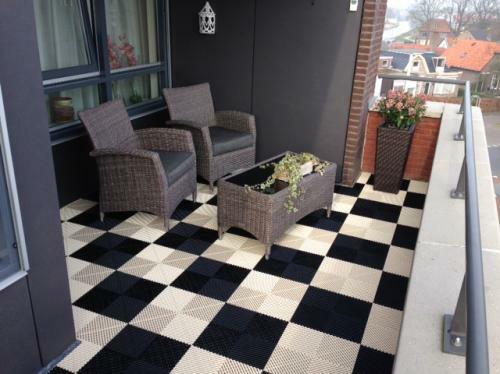 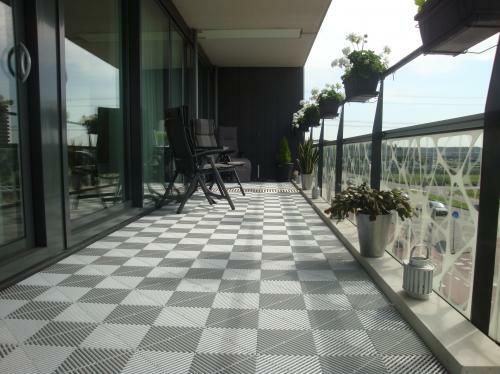 SwissDeck® Floors are extremely suited to cover your terrace, balcony or patio. 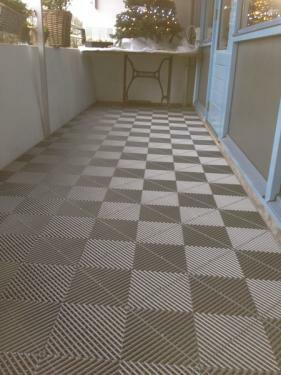 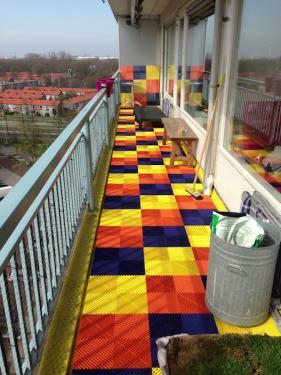 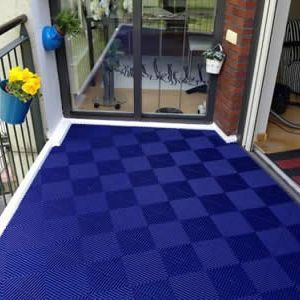 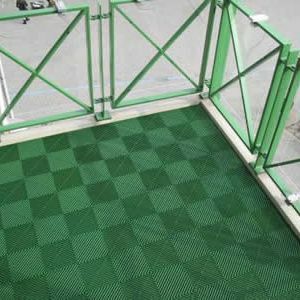 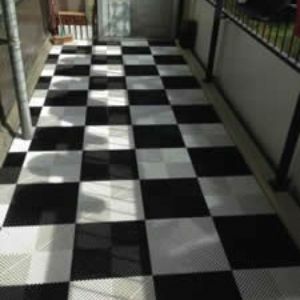 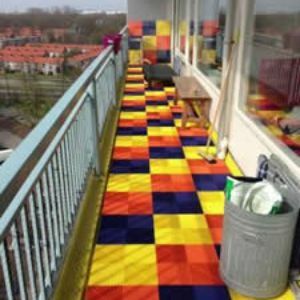 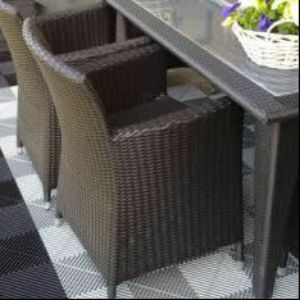 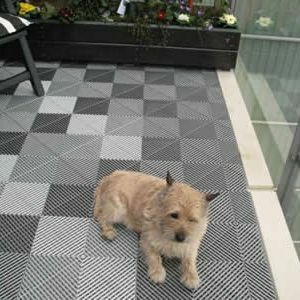 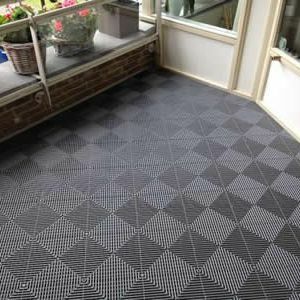 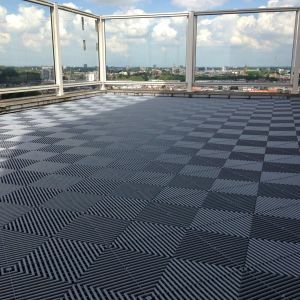 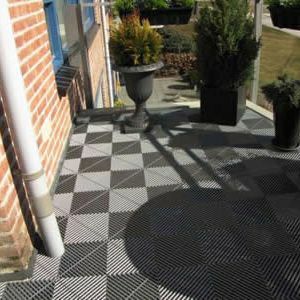 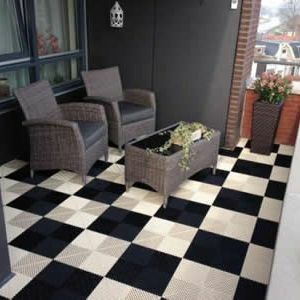 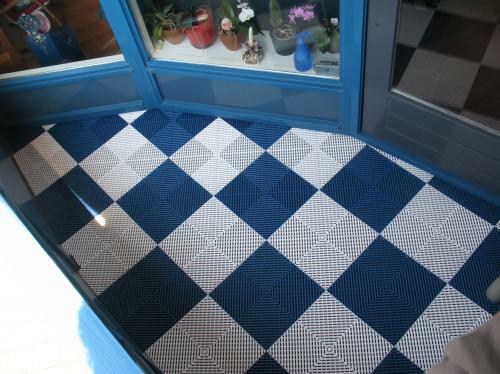 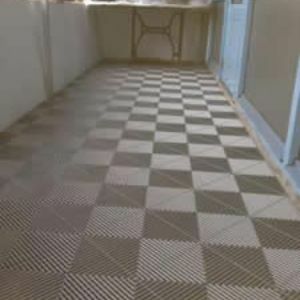 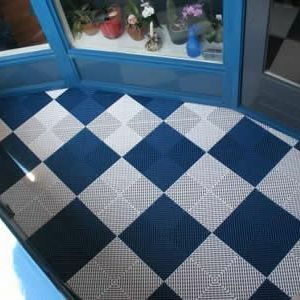 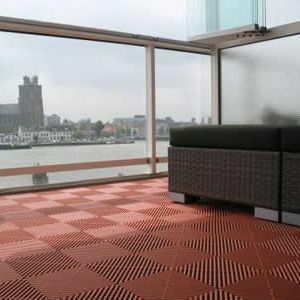 The tiles can be laid on any slippery base, they are UV-stabilized and immune to differences in temperature. 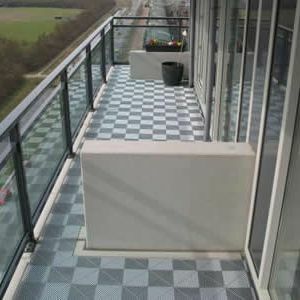 The topside is provided with an antiskid surface making it a safe floor in wet circumstances. 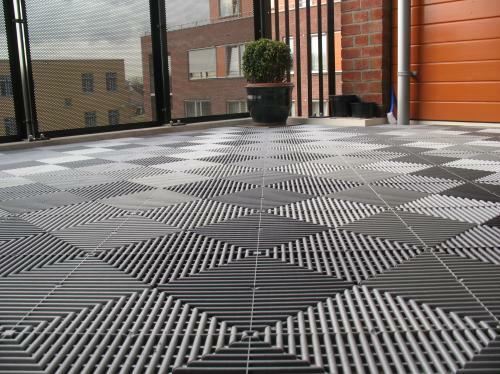 The tiles are easy to clean by rinsing them with water. 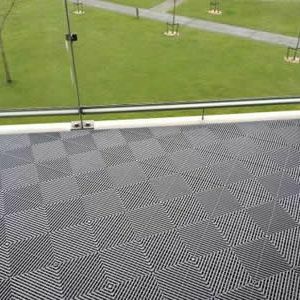 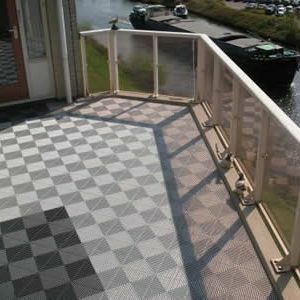 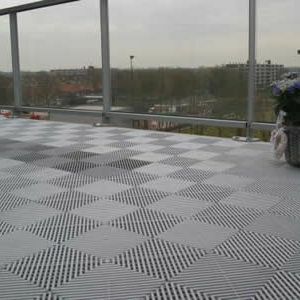 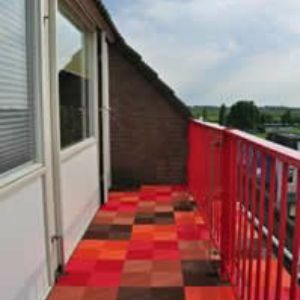 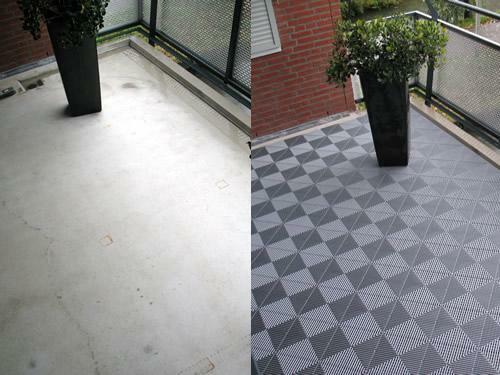 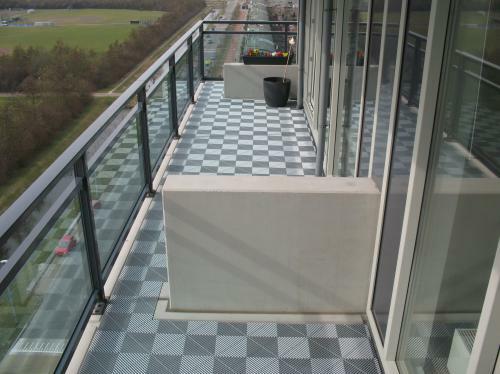 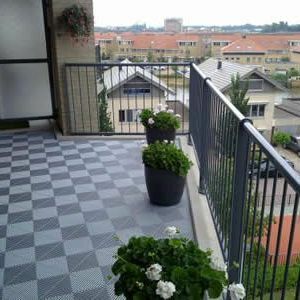 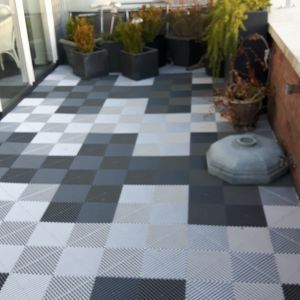 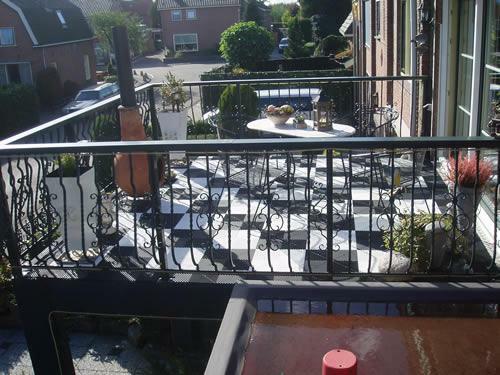 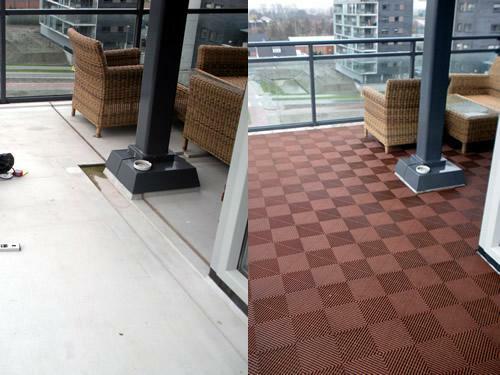 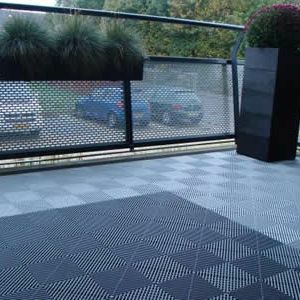 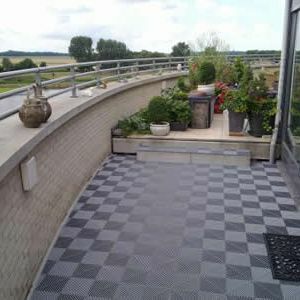 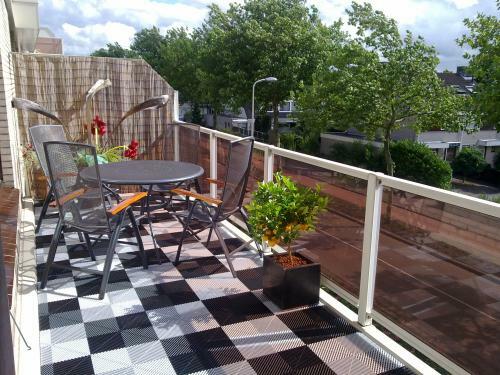 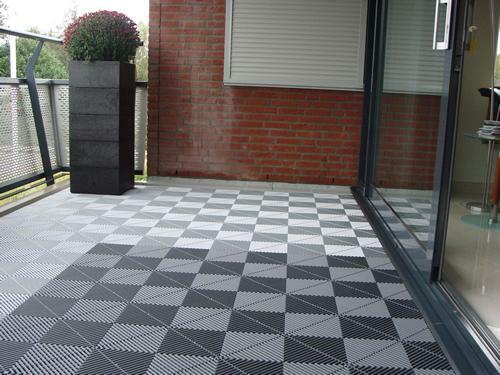 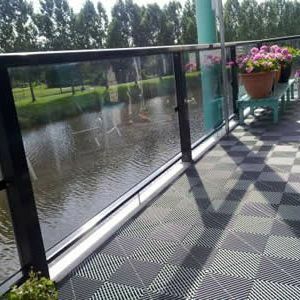 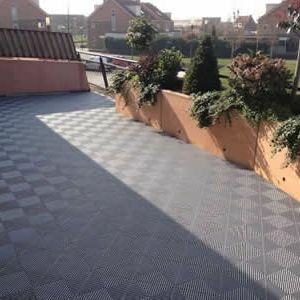 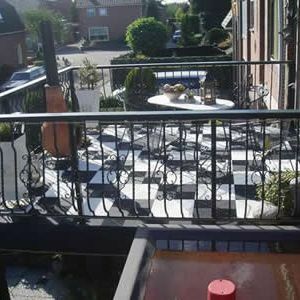 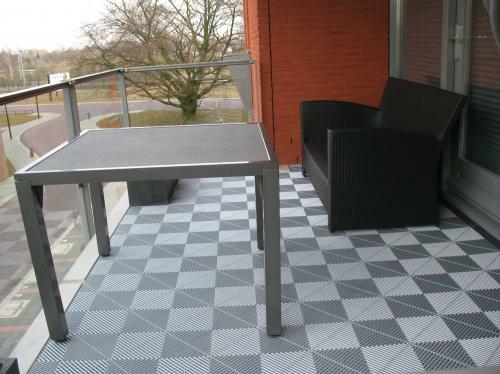 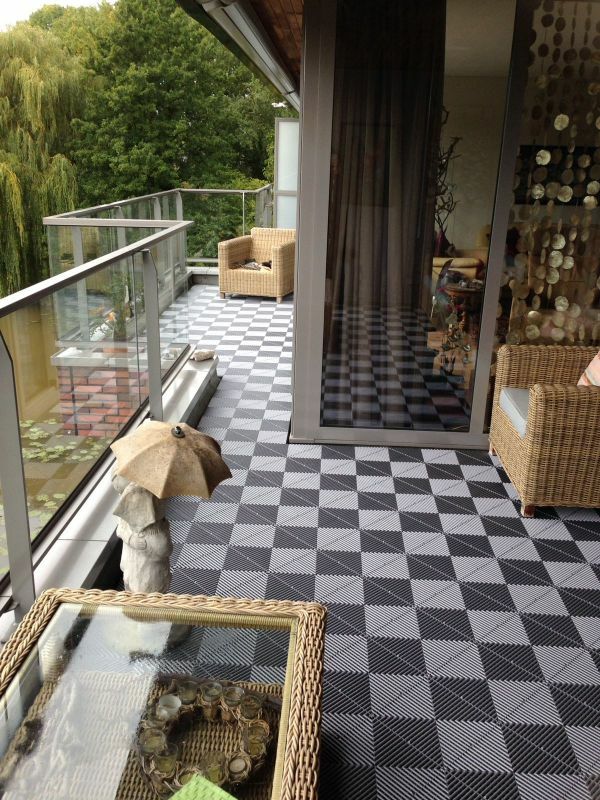 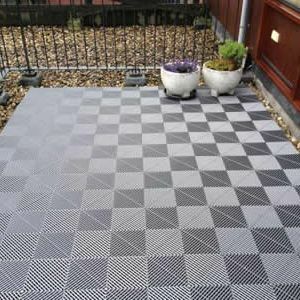 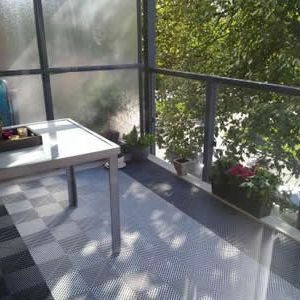 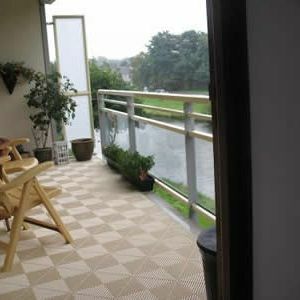 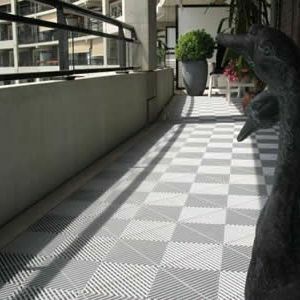 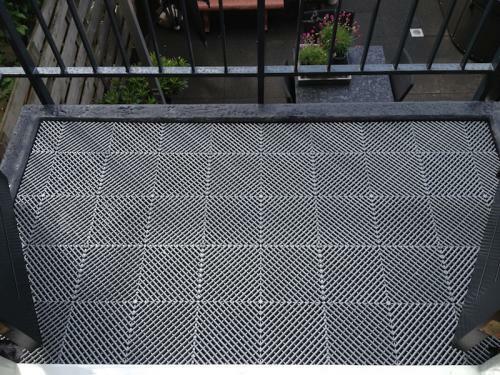 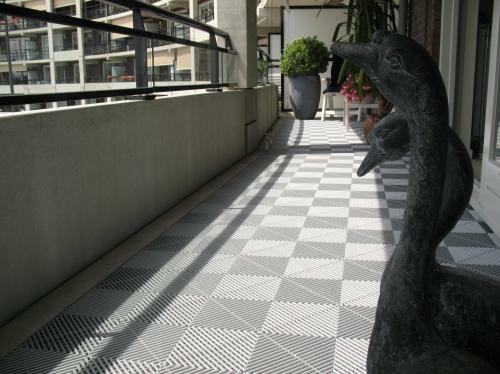 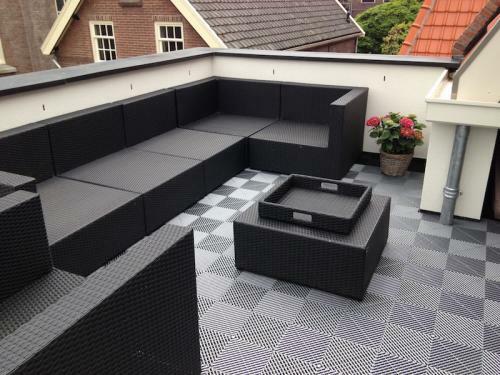 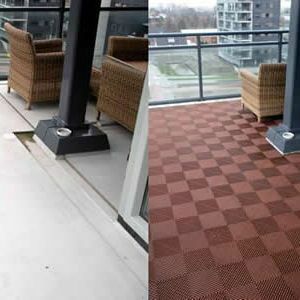 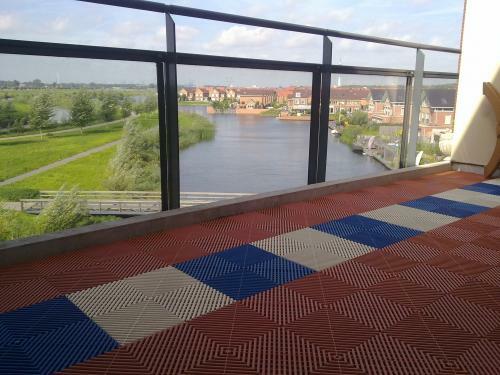 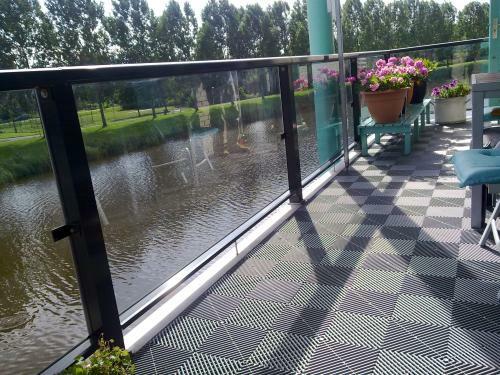 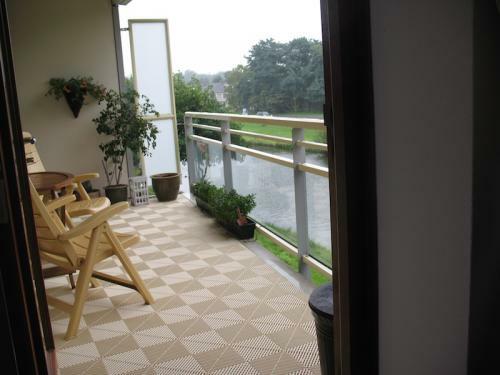 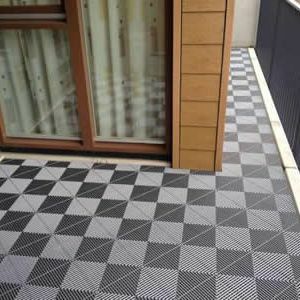 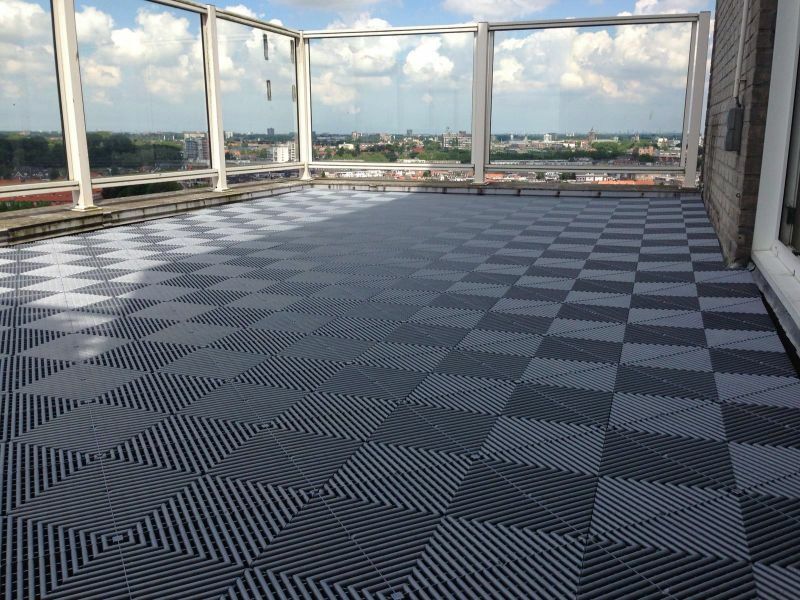 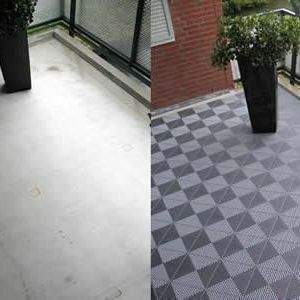 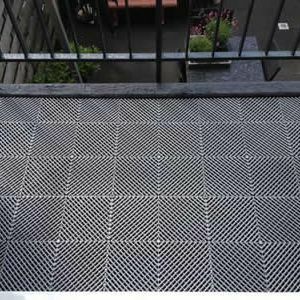 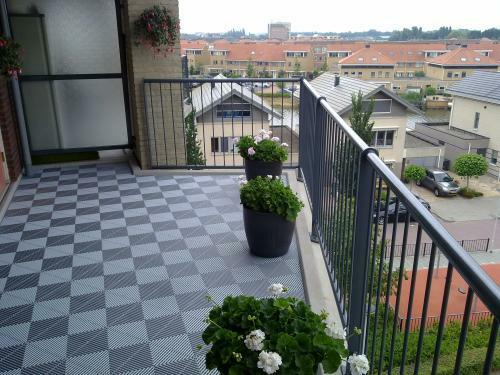 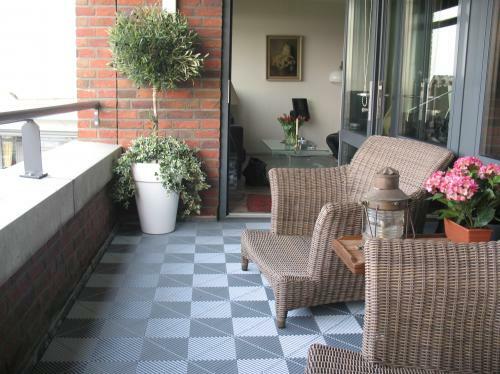 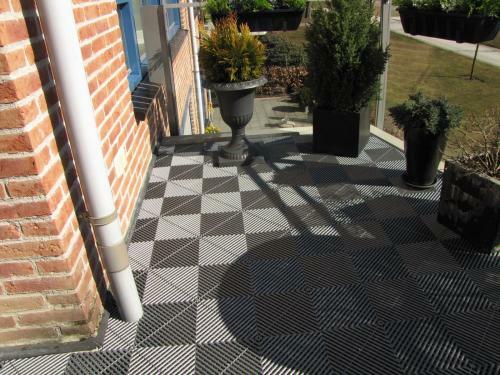 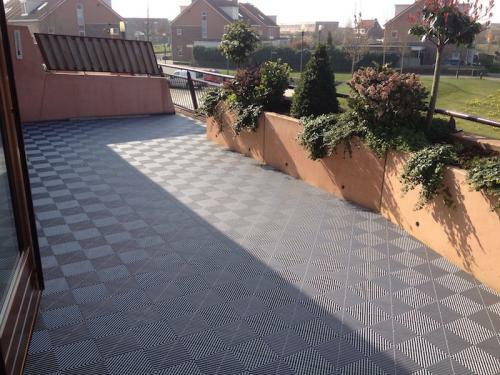 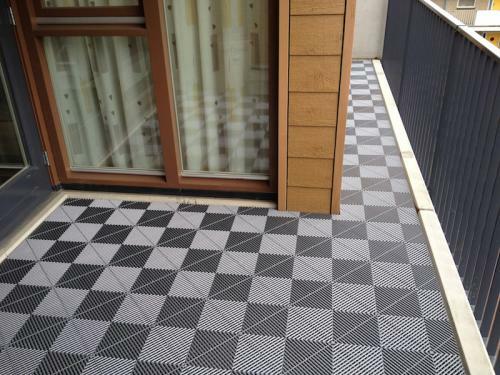 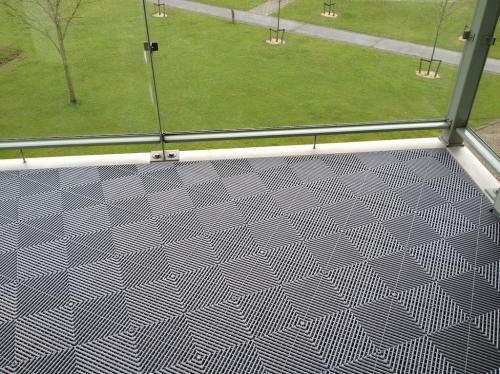 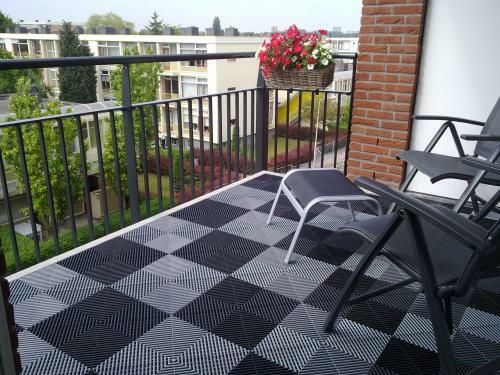 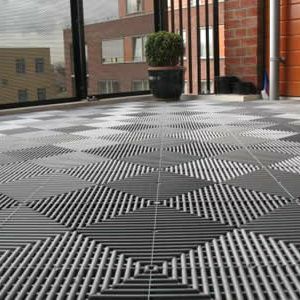 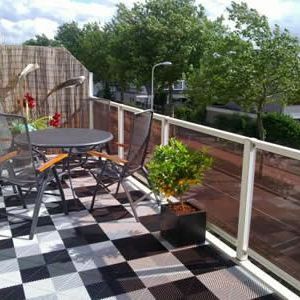 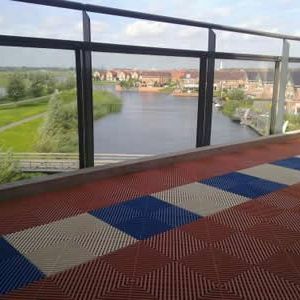 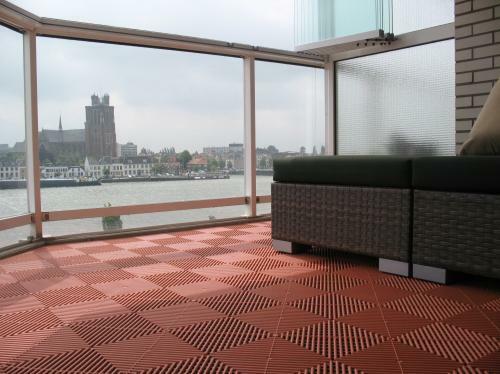 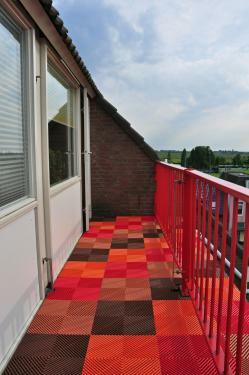 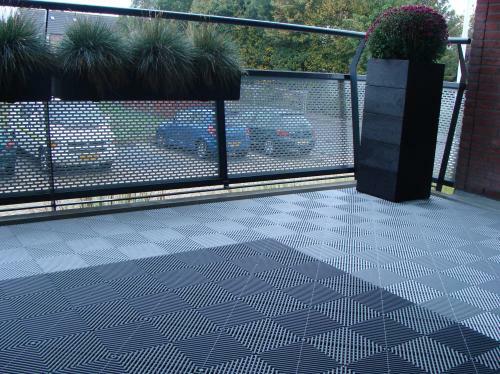 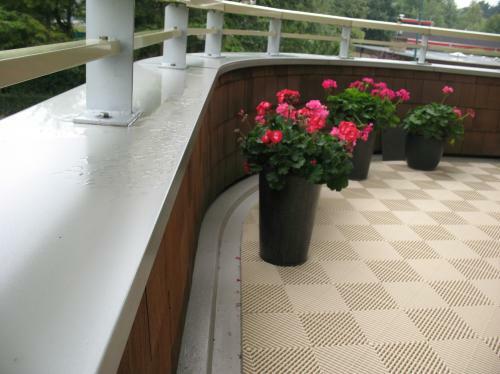 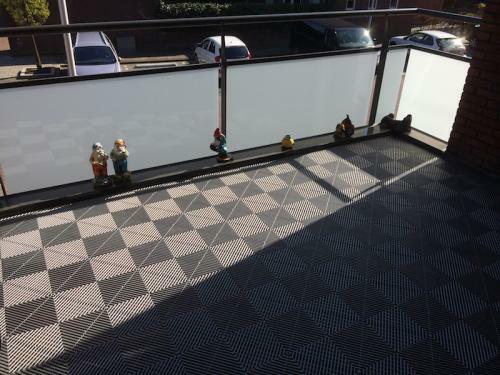 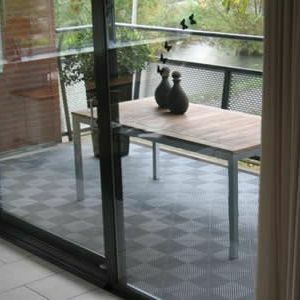 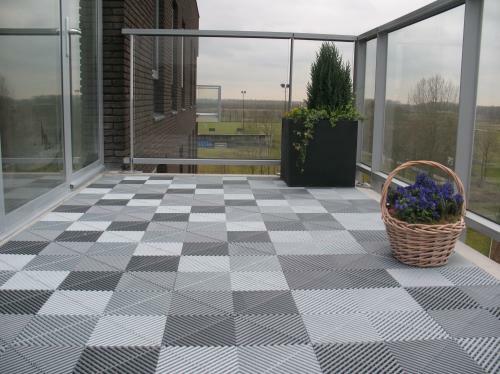 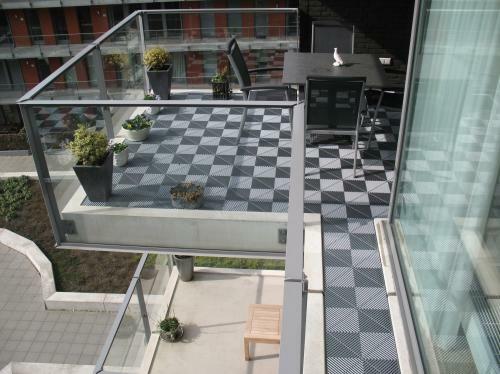 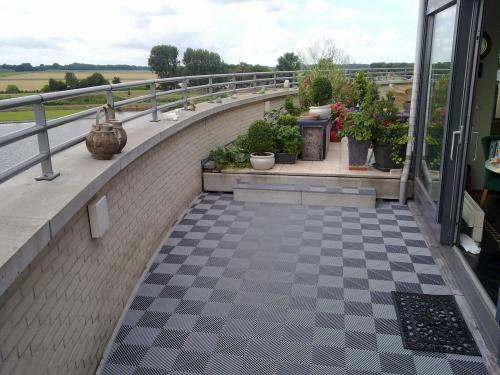 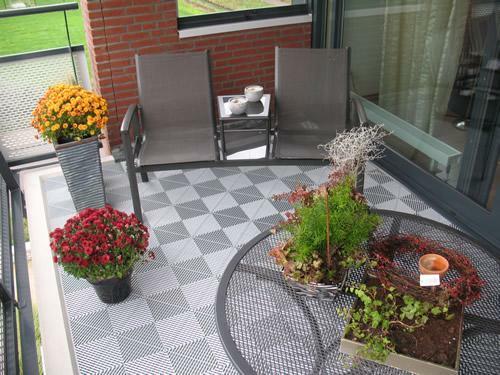 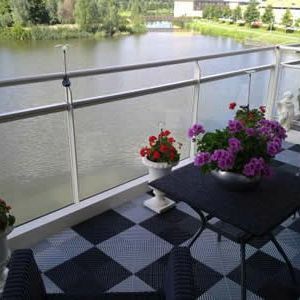 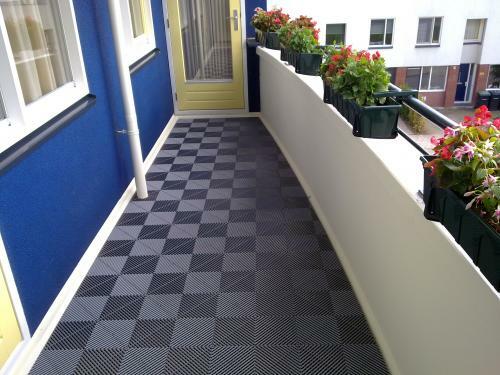 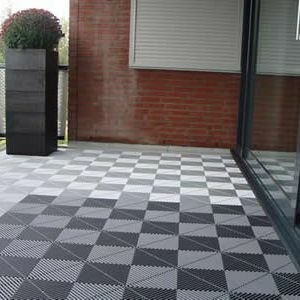 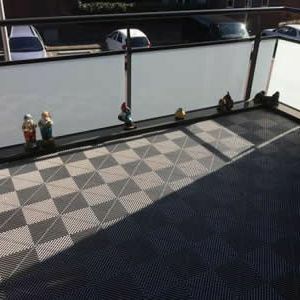 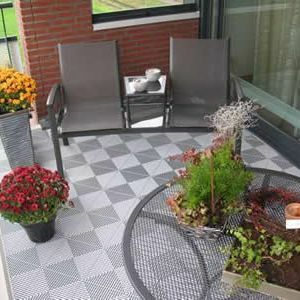 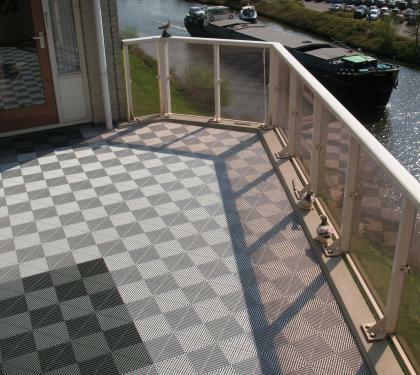 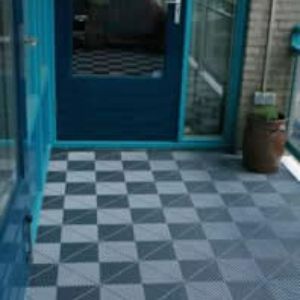 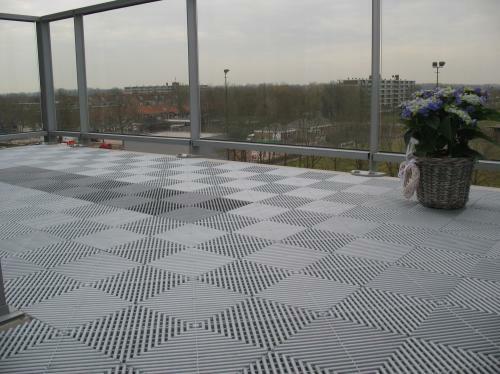 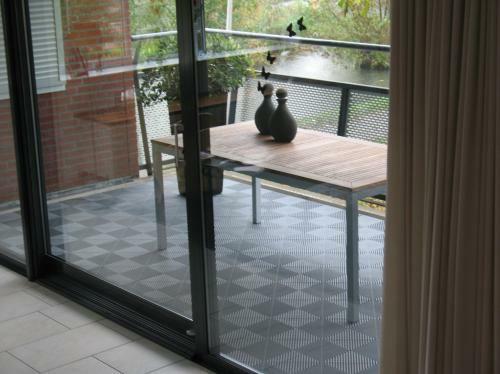 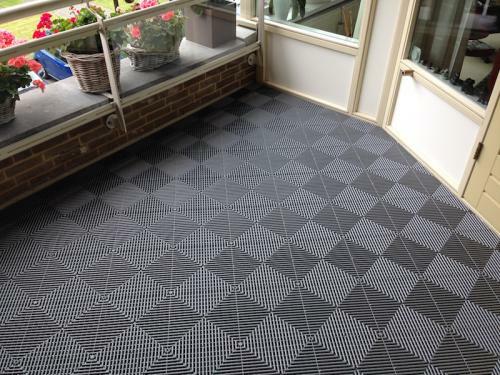 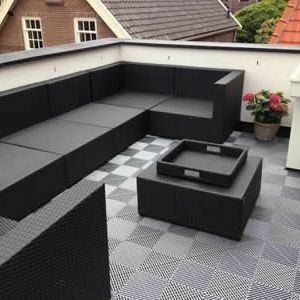 The RibDeck® tiles have an open profile which allows to quickly drain away rainwater. 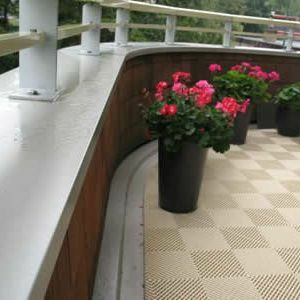 Finishing edges and corners are available for the edges and corners. 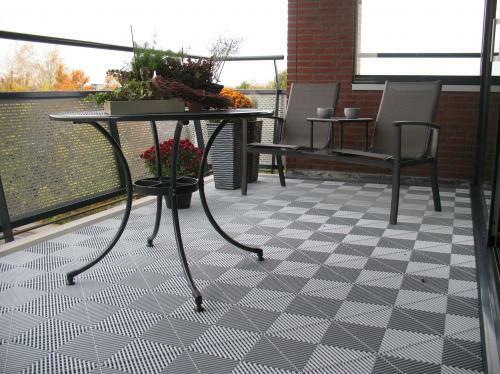 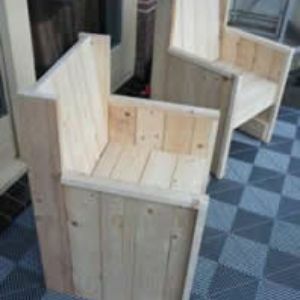 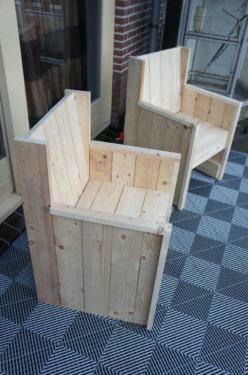 The tiles are removable, so you can simply take them with you when you move.